Tuition is waived for Washington state students. 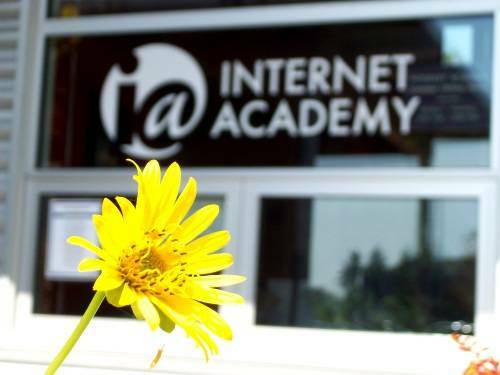 Internet Academy is financially supported through the Washington State K-12 funding. Within the state funding parameters, a student is considered full-time when taking five (5) courses. State funding is conditional on a student living in WA state. If a student moves outside of state during the school year, state funding will be discontinued and tuition will be required to continue attendance. per state law. Students attending IA as their sole school may enroll in up to five (5) courses with no tuition fee charged. Students may be enrolled at IA and a local building school with no tuition fee charged, as long as the combined number of courses between IA and a building school does not exceed five (5). An IA tuition fee will be required for each course exceeding the maximum of five (5). Students who are enrolled full-time (five or more courses) in a building school are required to pay tuition. If applicable, Tuition is $345.00 for each semester course (.5 credit). Tuition fees are nonrefundable. Students are required to inform Internet Academy of all courses taken at other educational facilities. Please contact us for additional information regarding our tuition fees or your student’s special situation.